The 2nd of January is Oatmeal Day, at least according to The Kansas Foundation for Agriculture in the Classroom. The Quaker Oats Company backs them up somewhat, in saying that all of January is Oatmeal Month. 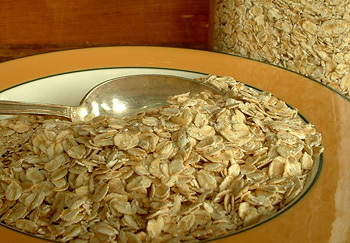 Quaker Oats Company started promoting Oatmeal Month in the early 1980s. January is the top-selling month for oatmeal in the northern hemisphere — small wonder, with the dead of winter setting in. Today, you may wish to have oatmeal for breakfast, oatmeal cookies, or use oatmeal as a crumble on a casserole. Perhaps some might want to try an oatmeal face mask.